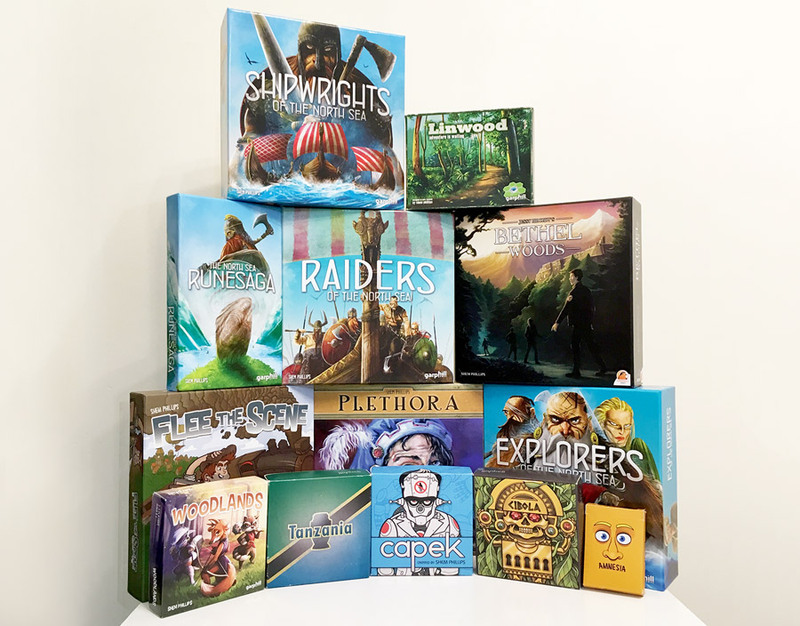 I’m Shem Phillips, a board game designer and publisher from Kapiti, New Zealand. I’ve been designing games for around nine years, originally just as a hobby and creative outlet. Over this time I have also held down a day job, primarily as an operations manager at the digital garment printing company, Print Mighty. However, next year I will be stepping out and going full-time with my publishing company, Garphill Games. I have been married to my beautiful wife, Stephanie, for ten years this February. We have two gorgeous little daughters, Chloe and Bryony. 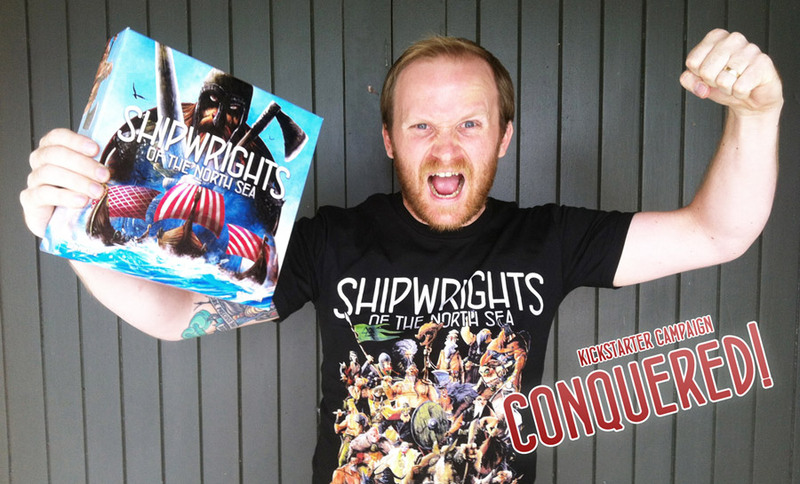 Shem celebrating after the Shipwrights’ Kickstarter campaign. 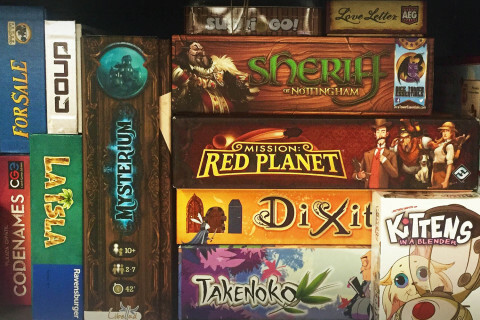 I grew up playing a lot of the classic board and card games with my family. 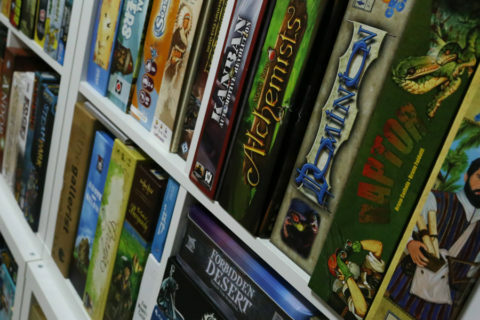 In fact, it wasn’t till my early twenties that I discovered modern board games. I still remember a good friend of mine introducing me to Catan one Sunday afternoon at his flat. Later that week I took a visit to our local toy store and picked up Carcassonne and Family Business on a whim. Needless to say, I was hooked. 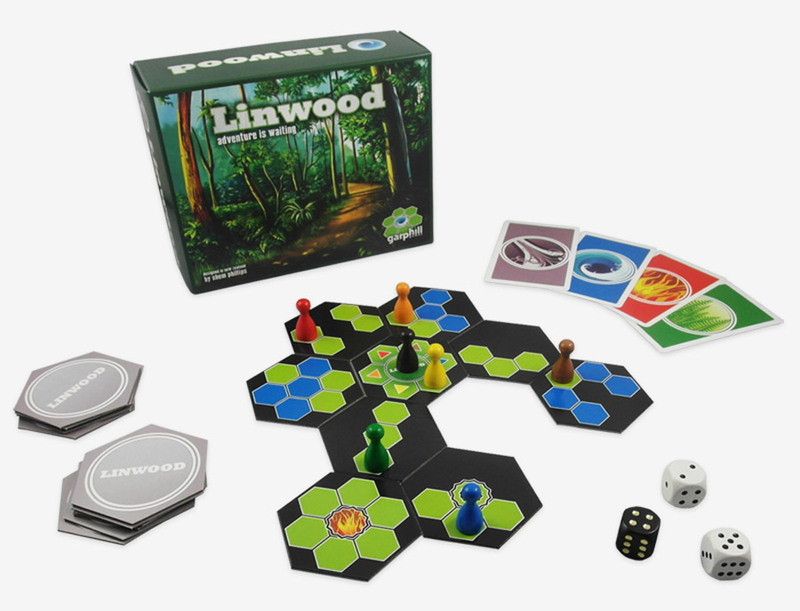 My first two designs, Linwood and Capek, actually pre-date my exposure to modern board gaming. 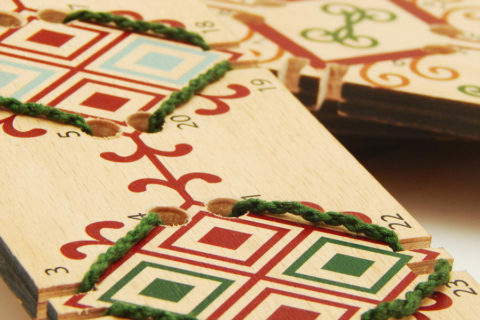 These games were more family-focused, with less strategy and more luck. As I played a wider variety of games, I found my designs also began to shift more towards thematic and strategic games. Still, I was a small, unknown designer from New Zealand, with no real idea how to get my games out to a larger market. So I kept publishing games on my own. Cutting each card for Cibola. A lot of my earlier releases, like Capek, Tanzania and Cibola, were all hand-made publications. I bought a cheap die-cutter off eBay, which allowed me to cut each card to the exact same shape. 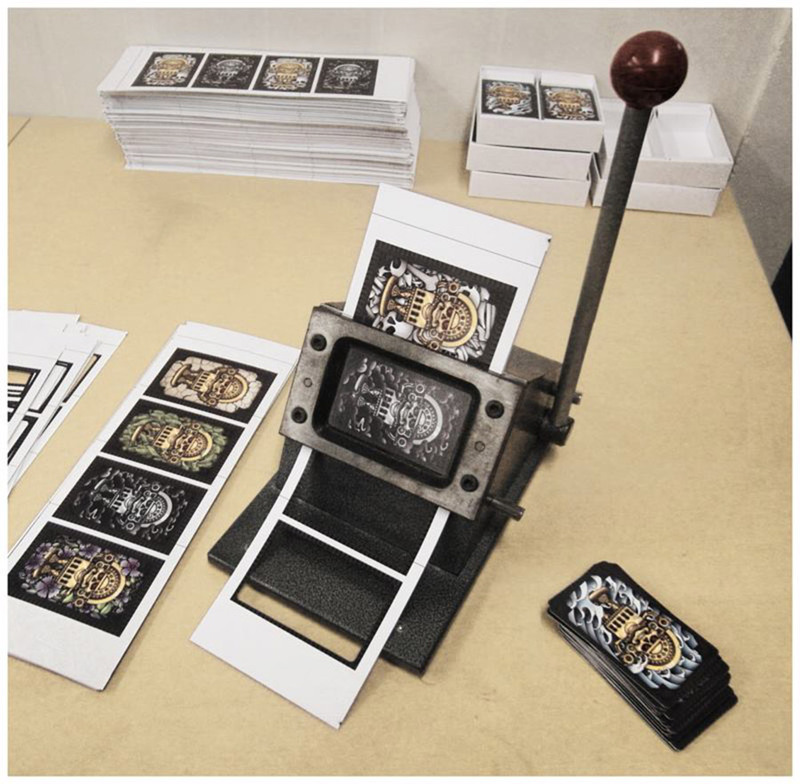 I would print the cards and rules at my local print shop, then put everything into a plain white box and slap on a sticker. I wasn’t making any money, but I just enjoyed seeing the finished product. 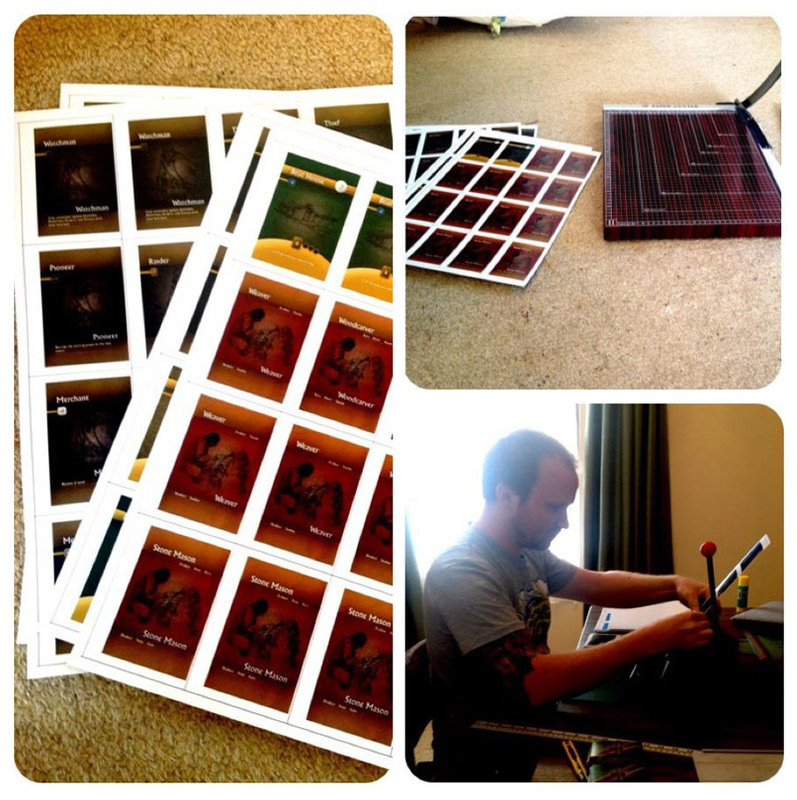 Shem putting together an early prototype of Selanida (Shipwrights). Around this time, I had been working on a Viking themed game called Selandia. However, due to my lack of resources and know-how, the game got shelved. Around two years later, Kickstarter became available to creators within New Zealand. Finally there was an opportunity to do a really professional, polished game! I hunted around for a suitable artist online, which lead me discover Macedonian comic artist, The Mico. He hadn’t illustrated board games before, but his style was exactly what I had imagined. So after a name change and a surprisingly successful Kickstarter campaign, Shipwrights of the North Sea was born. Brainstorming ideas for Raiders of the North Sea. After the success of Shipwrights, I knew I had to follow up with a sequel. 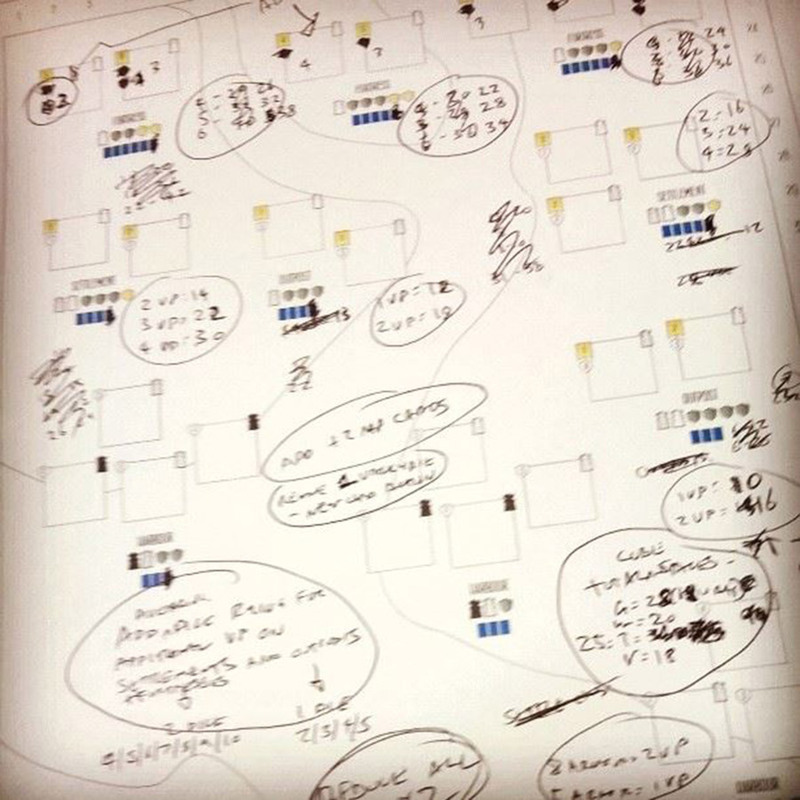 This led to the design of my most popular release to date, Raiders of the North Sea. This was a hit due not only to the gorgeous art, but the unique take on the Worker Placement genre. Rather than each player having their own set of workers, all players share a single group. On their turn, players must place a worker, somewhere on the board to take an action. Then they must pick up a different worker, taking a second action. So they always start and end their turn with a single worker. It was a simple concept, but it proved to be a popular one. One year later I Kickstarted the third title in the series, Explorers of the North Sea, along with The North Sea Runesaga. This was an expansion which allowed players to progress through the entire trilogy in a campaign for the most runestones and the title of Chieftain. Again, this was a very simple concept, but has been really well received by those who have played it. Playtesting two Raiders prototype expansions simultaneously. There’s no doubt that the Viking themed games have been the driving force behind my recent success. Next year I plan to finish off the trilogy with a few more expansions. I also have another big game that I’m really exited about for next year, based in Paul Tobin’s world of Atlantis. Other than that, I have ambitions to do another trilogy, or three. But more about that later. Photo credits: Shem Phillips. Used with permission. 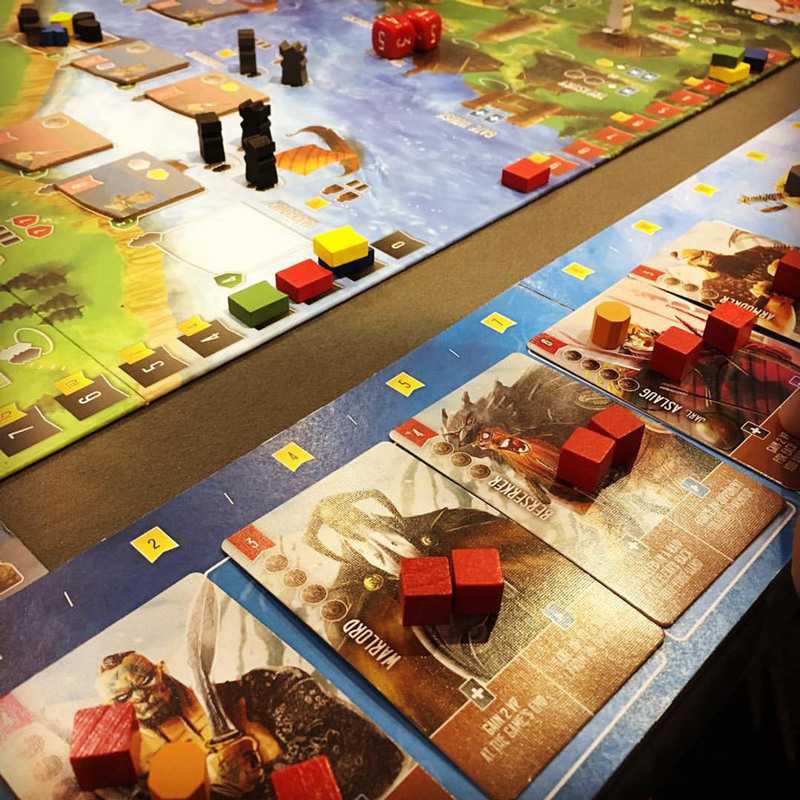 Get Shipwrights of the North Sea , Raiders of the North Sea , or Explorers of the North Sea on Amazon.